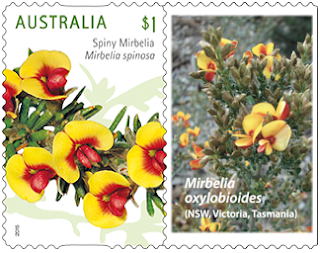 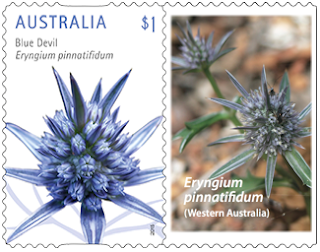 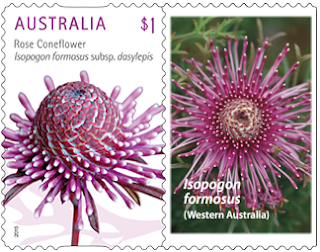 Australia Post surprised modern collectors by releasing personalised versions of the four Wildflowers stamps on 6 January (the official date of release was 4 January, but the stamps could not be ordered until 6 January). 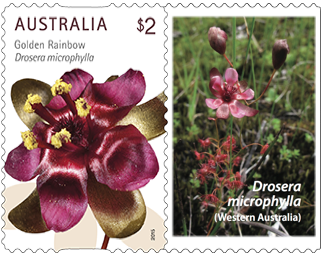 The release is noted in the press release from Australia Post, and may get mentioned in the next Stamp Bulletin (due for release on 11 January). Why this release is even more surprising is that this is first time we have a $2 non-Wedding/Greetings Personalised Stamp™, and on 25 January there will be 10 more Personalised Stamps™ due for release with the $1 and $2 Greetings issues!